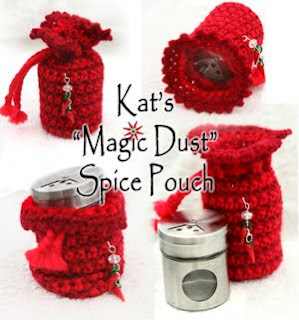 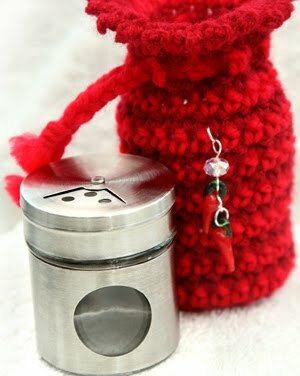 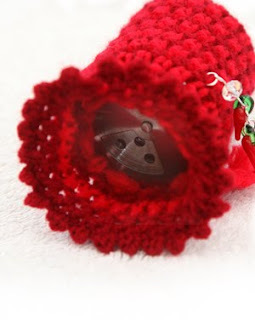 Here's my latest design; a crocheted pouch to hold my precious "Magic Dust" chilli powder. 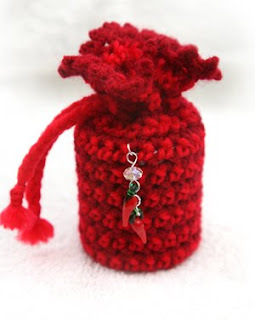 I put a lot of effort into growing and processing the chillies - I reckon they deserve the best treatment and that includes storage! 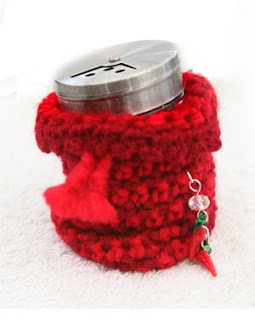 The pouch holds an airtight shaker and is finished off with a handmade charm - for this I used a genuine Swarovski crystal bead and 2 delightful murano glass chilli peppers!